Scientists have found an explanation for the century-old observation that if you end up with just one kidney, the lone organ gets bigger. When a single kidney is removed because of injury or for transplantation, the remaining kidney can rapidly get 50-60 percent bigger, an apparent physiological attempt to expand its capacity. Now scientists have shown that the increased blood flow to the kidney that results from going from two to one also delivers significantly more of the protein-building amino acids, which trigger the growth. “Everybody thinks it makes sense that the kidney gets bigger, but how does the remaining kidney even know the other kidney is gone?” said Dr. Jian-Kang Chen, pathologist and kidney researcher at the Medical College of Georgia at Georgia Regents University. “What is the signal this remaining kidney has sensed and how does this signal get transmitted to make the cells forming the kidney’s nephrons (filtering units) get bigger?” asked Chen, co-corresponding author of the study published in The Journal of Clinical Investigation. 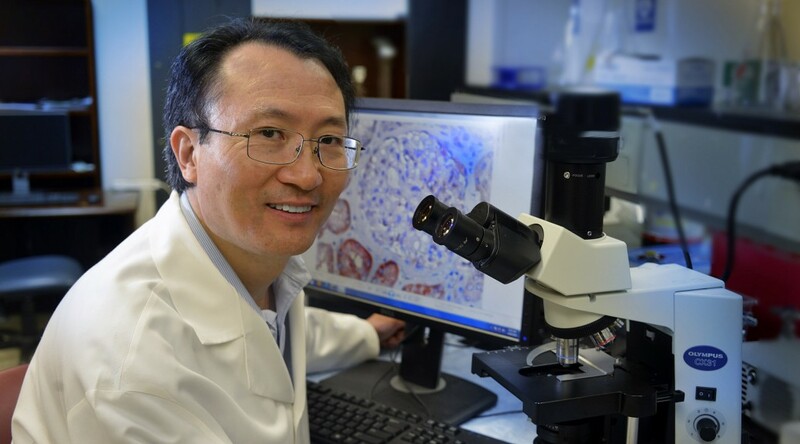 A decade ago, Chen published a paper in the Journal of the American Society of Nephrology showing that activation of a protein called mTOR is a major player in the hypertrophy of the lone kidney. However, the growth signal that activated mTOR, which forms two distinct multiprotein complexes known as mTOR complex 1, or mTORC1, and mTORC2 in cells, was still unknown. Now the research team, which included scientists at Vanderbilt University School of Medicine, Texas A&M University, and Feinberg School of Medicine at Northwestern University, found that in mice, the increased availability of amino acids prompts increased activation of mTORC1. “For a cell to grow bigger, it has to have increased protein synthesis, which is regulated by mTORC1,” Chen said. In the kidneys, mTORC1 more typically functions at a level that maintains the healthy status quo, said Chen, who calls it both a master regulator of protein synthesis and cell growth and a nutrient sensor. When one kidney is lost, mTORC1 senses more amino acids coming to the remaining kidney, which it takes as a cue through its upstream messenger enzyme called class III phosphatidylinositol 3-kinase, or PI3K, to make more protein. Much like shunting traffic, when the scientists tied off one kidney in a mouse, blood flow to the remaining kidney increased immediately, as did amino acid availability and mTORC1 activation. Within a day, kidney size had increased a detectable amount. Follow up studies indicate growth typically plateaus at a 50-60 percent increase within about three months. Another of their models, a mouse missing the Pten gene, which enables production of a protein that helps keep cell division and growth in check, also pointed toward mTORC1 as the growth driver, but the path to activation was slightly different. In this case, its sibling complex, mTORC2, was activated by gene removal, which through a series of intermediate signaling molecules, eventually also activated mTORC1. It’s a usual occurrence for mTORC2 to activate mTORC1. But, when scientists also removed a kidney from the PTEN knockout, mTORC1 did not need its sibling to become activated. What mTORC1 did need was the enzyme, class III PI3K, to become active. This is true as well, in their other model, in which a kidney was removed but PTEN wasn’t. Without Pten, both kidneys got larger. When they gave rapamycin, which inhibits mTORC1, both kidneys got smaller. Now they want to know more about why the hypertrophy appears to reach a certain point and stop and whether the greatly increased girth many kidneys experience is ultimately bad for kidney function, as Chen suspects. By learning more about growth triggers, they hope to one day be able to intervene to limit the response and help ensure the lone kidney continues to function well. Humans have on average about 1 million nephrons, or filtering units, in their kidneys. Each nephron has a renal proximal tubule that retrieves desirables the nephron filters from the blood, such as amino acids, sodium, and glucose. The proximal tubules then put these desirables back into the general circulation and direct waste products toward the bladder for elimination in the urine. A single kidney can result from a developmental problem, or injury, being a kidney transplant donor or recipient. Even in humans with two kidneys, if disease reduces the number of functioning nephrons, the residual functioning nephrons will also grow bigger. Amino acids come from the proteins we consume, enabling us to make proteins so we can build muscles, bones, and other key tissues. “Proteins in living cells are constantly being synthesized, and each protein has a lifespan,” Chen notes, so the body is in constant need of protein synthesis and degradation. The research was funded by the National Institutes of Health and an American Heart Association Scientist Development Grant. Dr. Raymond C. Harris, Chief of the Division of Nephrology and Hypertension at Vanderbilt, also is a co-corresponding author. After several instances of “just not feeling right,” Georgia Regents University Landscaping & Grounds Manager Scott Davis finally convinced himself in January to see a doctor. It was a good thing he did. Davis was diagnosed with ventricular tachycardia, also known as a fast heart rate, and doctors said he should consider himself lucky his condition hadn’t resulted in a major cardiac attack. Ventricular tachycardia, or VT, does not allow enough time for the heart to fill before it contracts so blood does not get pumped throughout the body, according to the American Heart Association. VT can be life-threatening and requires rapid diagnosis and treatment. Davis’ episodes occurred most often while he exercised. His heart would race faster than normal, and he felt like he would faint. In December, he knew something wasn’t quite right but, he said, like many men, he pushed it off as long as he could. Last month, he made an appointment with his regular doctor, Drew Vanalstine. After performing routine check-up and running normal blood tests, Dr. Vanalstine suggested that Davis seek a cardiovascular consult from one of his medical school colleagues, Dr. Vishal Arora. After a quick, suspicious EKG, Dr. Arora fitted Davis with a Holter monitor, a battery-powered device that measured and recorded his heart activity for a 24-hour period. Davis also kept a diary of his daily activities. On his birthday, Thursday, Feb. 12, Davis received a rather shocking present. He was told he needed to return to GRMC because data collected from the Holter monitor was abnormal. Davis and his family had plans to travel out of town that weekend, so he assured the nurse he would be in first thing on Monday. “She said, ‘No, you need to come now,’” Davis said. Drs. Adam Berman and Robert Sorrentino later implanted a defibrillator in Davis’ chest that can deliver a shock to return his heart to a normal rhythm if it is beating too fast. Davis is also taking antiarrhythmic medicine and has not felt out of sorts since. Davis’ VT diagnosis is particularly ironic. Weeks before he’d made the doctor’s appointment in February, he was named captain of GRU’s Division of Facilities Services Heart Walk fundraising team. Now, instead of simply encouraging the Division to raise money, he’s raising awareness of heart health. The main thing, he said, is to know your body so you recognize when things are out of whack. “My hope is they’ll learn from me,” he said. Davis has nothing but good things to say about his experience at Georgia Regents Medical Center. He’s taken care of GRU for years, and now GRU has taken care of him. “It feels good to support where you work,” Davis said. AUGUSTA, Ga. – The American Heart Association has recognized GRHealth as a Gold-Level Fit-Friendly Worksite for championing employee wellness. GRHealth is the only Augusta hospital to achieve this honor. Fit-Friendly Worksites reach gold and platinum levels by implementing activities and programs that encourage physical activity, nutrition, and culture enhancements that foster healthy living. According to the American Heart Association, American employers are losing an estimated $226 billion a year because of health care expenses and health-related losses in productivity. Many American adults have sedentary jobs, which contributes to a lack of physical activity and an increased risk of obesity, high blood pressure, diabetes, and a host of other medical issues. The AHA aims to transform corporate cultures through the Fit-Friendly initiative and other wellness programs. The AHA recommends employee walking programs as walking has the lowest dropout rate of any physical activity. Heart Walk: True Stories. True Success. On October 15, 2011, Mike Oates experienced a plaque rupture while in the midst of training for a half marathon. In just 66 minutes, he went from lying on the ground without a pulse to leaving surgery with the rest of his life ahead of him. Last year, the American Heart Association gave more than $7 million to GRU in research funding, making us eighth in the nation – and, more importantly, helping us to save lives like that of Mike Oates. The Heart Walk gives us the chance to give back to AHA. Click here for information on the Heart Walk and fundraising events, as well as to buy the official shirt, register a team, and submit a fundraising event concept. 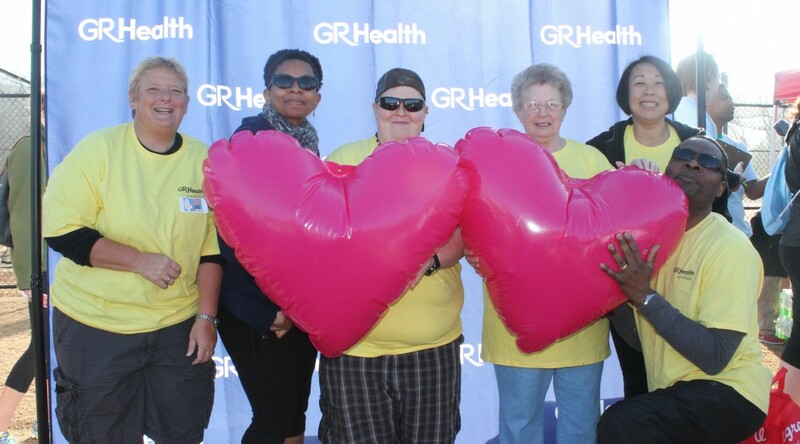 Members of “Team Georgia Regents” met up at the GRHealth tent prior to the start of the Heart Walk on Saturday, March 8. Photo courtesy of the GRU Marketing Department. Ambulatory Services presents its seventh annual Silent Auction on Friday, Dec. 6, from 10:30 a.m.-1:30 p.m. in the Terrace Dining Hall on the Health Sciences Campus. The auction features an assortment of gift baskets, holiday gifts, an iPad, and more to support the American Heart Association Heart Walk. If you would like to donate an item, contact Steven Galles at sgalles@gru.edu. In the foreground from the left are founders Alex Wier and Daniel Stewart with media specialist Sarah Burt. Nationally recognized advertising agency Wier/Stewart helps judge students’ project presentations in Dr. Marsha Loda’s senior marketing class in the Hull College of Business. The agency advised Dr. Loda that new hires needed skills in Adobe Design. The new class has already helped a student land a nationally promoted internship at JWT in New York. 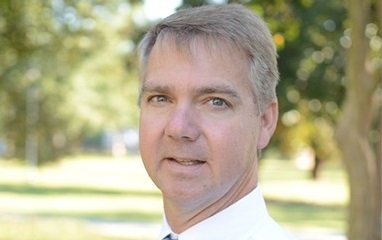 AUGUSTA, Ga. – Dr. Kevin C. Dellsperger, Senior Associate Dean for Clinical Outcomes at the University of Missouri, has been named Chief Medical Officer and Vice President at Georgia Regents Medical Center. He will also be Associate Dean for Clinical Affairs in GRU’s Medical College of Georgia. He will assume his new role Nov. 1. Dellsperger will help the medical center advance best practices in health care delivery, focusing on patient safety and cost effectiveness. He will focus on quality and patient satisfaction metrics, and increase satisfaction of GRMC’s clinical services among referring physicians. He previously served as Professor in UM’s Departments of Internal Medicine; Medical Pharmacology and Physiology; and Pathology and Anatomical Sciences. He also served as Director of the Tom and Anne Smith MD/PhD Program and held the Marie L. Vorbeck Chair in Medicine. Prior to that, he served as Chairman and Professor in the Department of Internal Medicine. His research interests include coronary and pulmonary arterial and microvascular function in health and disease, exercise physiology in metabolic syndrome, and education and patient safety. 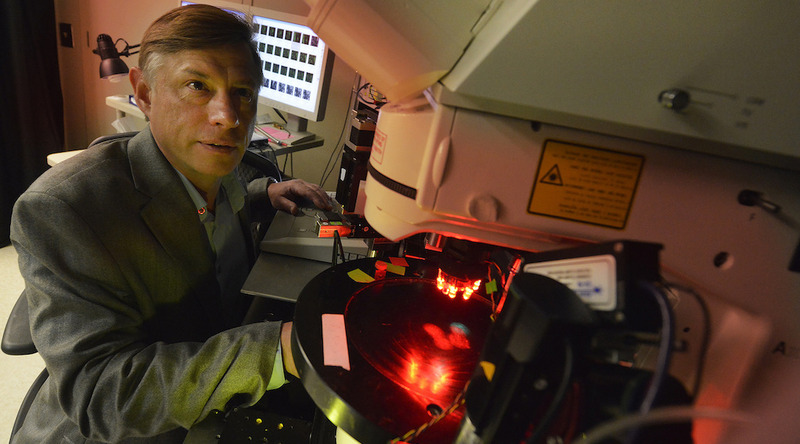 His research has been funded by the National Institutes of Health, Department of Veterans Affairs, American Diabetes Association, Juvenile Diabetes Foundation, and American Heart Association. Dellsperger is board certified in Internal Medicine and Cardiovascular Diseases and is a Fellow of the American College of Cardiology, American Heart Association, and American College of Physicians. 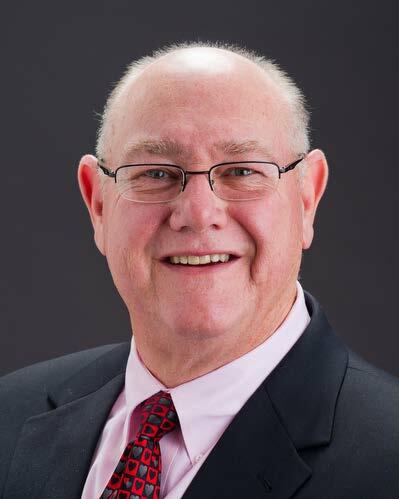 He currently serves on the Malcom Baldrige National Quality Award Board of Examiners and previously attended the Brent James Intermountain Advanced Training Program. He has authored more than 120 papers, peer-reviewed articles, and book chapters, and serves on the editorial boards for three leading health care journals. Dellsperger received his medical and doctorate degrees from Louisiana State University in Shreveport and completed a residency in Internal Medicine and fellowship in Cardiovascular Diseases at the University of Iowa. Dr. David Pollock has a simple message for fellow hypertension researchers: think endothelin. In a country where better than 30 percent of adults have high blood pressure and 50-75 percent of those have salt-sensitive hypertension, he believes the powerful endothelin system, which helps the body eliminate salt, should not be essentially ignored. However, the research and clinical world focus on suppressing a better-known system, which prompts the body to hold onto salt, said Pollock, Chief of the Section of Experimental Medicine at the Medical College of Georgia at Georgia Regents University. Pollock is giving the 2013 Lewis K. Dahl Memorial Lecture Sept. 14 during the American Heart Association’s High Blood Pressure Research 2013 Scientific Sessions in New Orleans. “If you look at blood pressure regulation and salt-controlled sodium excretion, everybody sees the renin-angiotensin-aldosterone system. That is what the books say.” Pollock said. No doubt the system is important. When blood volume is low, the kidneys secret renin to make the hormone angiotensin. Angiotensin drives blood pressure up by promoting sodium retention directly and by stimulating release of aldosterone, a hormone that prompts the kidneys to resorb sodium rather than eliminate it in the urine. It’s a protective system intended to ensure that the body has enough sodium to keep blood pressure at sufficient levels to sustain life. It’s also a system that’s somehow dysregulated in some hypertensive patients who take ACE inhibitors or angiotensin receptor blockers to turn it down. Since most Americans already turn down this system by eating too much salt, Pollock argues that enhancing sodium excretion might be a better approach, particularly for those not responding to existing therapies. In fact, when an animal on a high-salt diet is given a drug to block endothelin’s B receptor, blood pressure goes up 50 points, Pollock said. He regularly reminds research colleagues that blocking angiotensin receptors won’t produce nearly such dramatic results. In fact, he thinks problems with the endothelin system – possibly resulting from a developmental defect or high-salt exposure early in life – may help explain why some folks who eat a high-sodium diet get high blood pressure and others don’t. But this leads to one of the weak points of endothelin and probably part of the reason it’s not been top of mind for hypertension researchers, he said. When the salt-eliminating B receptor is inactive for whatever reason, endothelin’s A receptor, which actually constricts blood vessels, gets activated so blood pressure goes up, Pollock said. An interesting aside is that, at least in the short term, higher blood pressure makes it easier for the kidneys to eliminate sodium without the help of the B receptor. Endothelin was labeled the most potent vasoconstrictor ever described when it was first purified in the late 1980s, but it was a long time before there was any attention paid to the diametrically opposed actions of the B receptors, Pollock said. Receptor antagonists didn’t exist in those early days anyway and efforts to block endothelin synthesis didn’t work well because there were so many forms of the enzyme that make endothelin scattered throughout the body, he said. While still working for a pharmaceutical company, Pollock helped develop on one of the first A receptor antagonists that’s now in the final stage of clinical trials for chronic kidney disease. Since the early patents on the endothelin-blocking drugs are about to run out, it’s unlikely that new drug development dollars will be in the offing, Pollock said. The good news is that drugs already in use for pulmonary hypertension, which shut down the A receptors, likely have crossover potential for salt-sensitive hypertension, Pollock said. Pollock’s studies have shown that the kidney’s endothelin B receptor plays a critical role in eliminating both acute and chronic salt loads by activating nitric oxide, a potent dilator of blood vessels, in the kidneys. In fact, the kidneys make more endothelin than any place in the body. Key questions include how the B receptor gets turned off. Interestingly, researchers already know that the angiotensin system shuts the receptor down when patients are on a low-salt diet. Do hypertensive patients on a low-salt diet also have their B receptors turned off? “It’s a good question and another reason that targeting the renin-angiotensin-aldosterone system may not give you the whole answer,” Pollock said. The Lewis K. Dahl Memorial Lecture was established in 1988 by the Council for High Blood Pressure Research in honor of Dahl’s pioneering work on the relations between salt, the kidney and hypertension, and for establishing the Dahl salt-sensitive rat, a major genetically based experimental model of hypertension. Pollock has been a fellow of the council since 2000.